Guys, I hereby interrupt this blogging hiatus with a really important task for you to do. 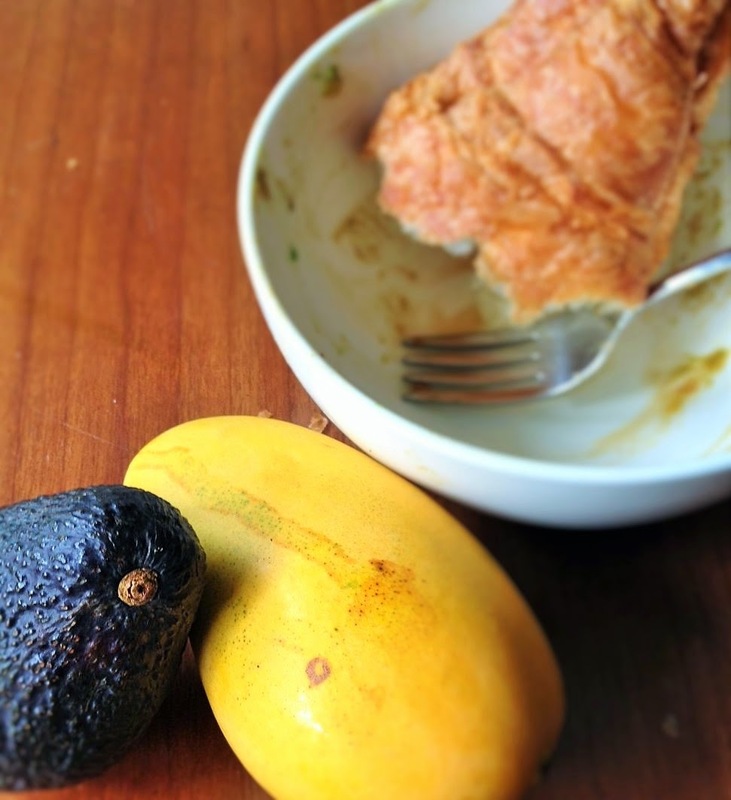 1) Buy a perfectly ripe avacado and an equally perfect Atulfo Mango -the yellow, not red ones - they are in all ways superior, just trust me on this. 2) Slice and dice both into perfectly sized amuse-bouches. 3) Splash with equal parts of the nectar of heaven, aka balsamic vinegar, and lime juice. 4) Add a few dashes of freshly ground pepper. Mix. 6) Wipe up the remaining dressing in your bowl with a torn half of a butter croissant. Which is kind of redundant - Like saying add an orange orange to your recipe, but whatever. It's totally worth it. Realize this practically non-recipe was so good that you want to share it and wish you had taken a picture, but all you have is an empty bowl, a full stomach, and a lovely taste lingering in your mouth. 7) Don't judge me for eating lunch at 10:15. I have a busy day, and if I do one thing it's eat three squares a day. Here's a pretend abstract imagine-it-could-be-in-your-mouth photo. Another way to remind you that photography is not in my skill set, and I'm ok with that. Also - it's the other half of the croissant - I'm gonna eat it once I hit publish. I have no shame.